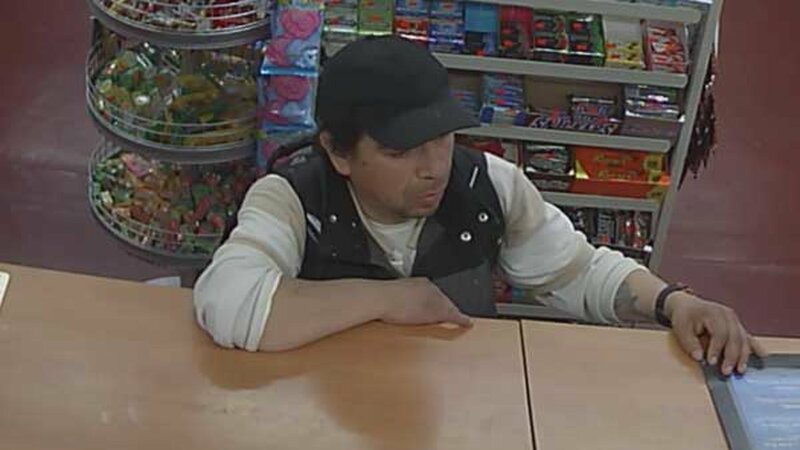 CHICAGO -- Police have released surveillance photos of a man who allegedly tried to sexually abuse a 6-year-old girl Saturday night in a Logan Square neighborhood grocery on the Northwest Side. About 9:30 p.m., the girl was in the store in the 3900 block of West Diversey when the man walked up, motioned her to him, and kissed her on the cheek, according to a community alert from Chicago Police. The man then grabbed the girl's hand and placed it into his pants pocket, police said. When a family member confronted the suspect, he ran out of the store. The suspect, who has a Spanish accent, is described as a white Hispanic man, thought to be between 40 and 50, standing 5-foot-4 to 5-foot-7, with an olive complexion and medium build; black, medium-length hair; brown eyes, and thin mustache. He has a tattoo on his lower left forearm, police said. He was wearing a black baseball hat, black jacket, white, long-sleeved sweatshirt, green-colored camouflage pants and black boots. Police said he is known to frequent the Logan Square area and may go by the name "Noel." Anyone with information is asked to call the Special Investigations Unit at (312) 492-3810. Police are searching for a man who tried to sexually abuse a 6-year-old girl Saturday night in a Logan Square neighborhood grocery store on the Northwest Side.